Rice water is one of the best ingredients to use for skin care and especially if we use it to wash our face daily, we will get amazing skin benefits. I love to use rice water to wash my face, it keeps my skin blemish free and smooth. The water in which rice was boiled is called rice water. In olden days, when the concept of rice cooker was not known, rice was boiled in clay pots with large amounts of water and once the rice got cooked, the water was drained. Since rice was consumed on a daily basis, rice water was always there at home and it was extensively used for both skin and hair care. There are actually two types of rice water. The first is the water in which the rice was used to soak before cooking. It is also called rice water and it will be slightly cloudy as rice releases little bit of it’s starch in it. The second is boiled rice water got when we drain the water after the rice is cooked. I prefer the boiled rice water as it is more creamy and thicker. If the rice water is left to ferment it is called fermented rice water. 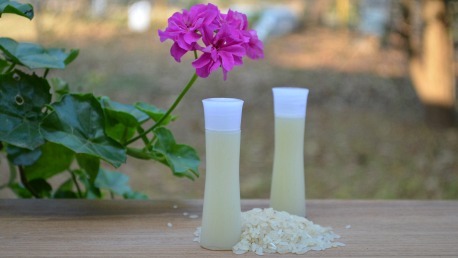 Fermented rice water can be made with either boiled or unboiled rice water. To make fermented rice water, just leave the prepared rice water in a closed vessel overnight. 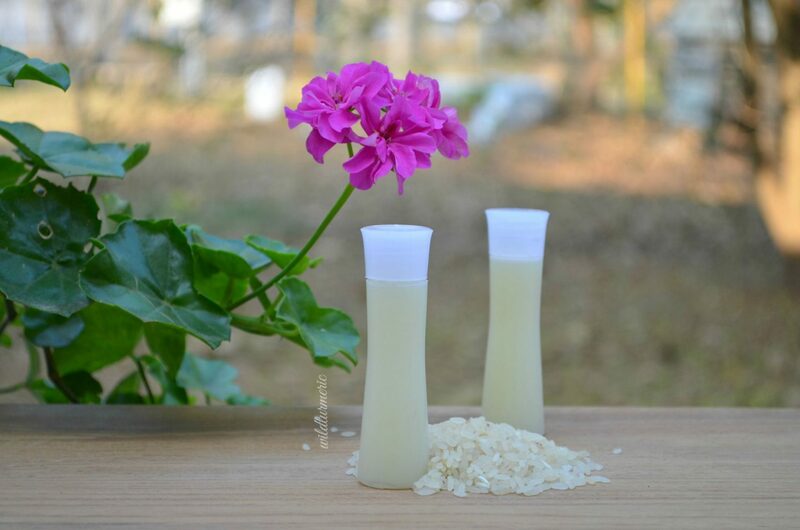 But fermented rice water will have a slight smell when compared to fresh rice water. The more it ferments the more it will smell but it does not affect the effectiveness of rice water. The important bio active compounds found in rice bran are called ferulic acid, gamma-oryzanol, allantoin and phytic acid. They are wonderful antioxidants and have been used in many skin creams to prevent skin ageing and to repair damaged skin. They also have amazing anti inflammatory properties. If you are looking for natural ways to lighten dark spots then rice water will greatly help. To lighten dark spots, mix rice water with gram flour and use it as a face wash. If you use it regularly you will see very fast results. Since rice water has anti inflammatory properties, it helps reduce the inflammation greatly. If you are suffering from acne, you can just wash your face with rice water and neem mix daily. It will help reduce the inflammation and will also prevent breakouts in the future. Rice water is very very soothing on the skin and is especially great for sunburned skin. You can just apply plain rice water on the face and then wash it off. You can also dab it on using a soft cotton and leave it on overnight too. 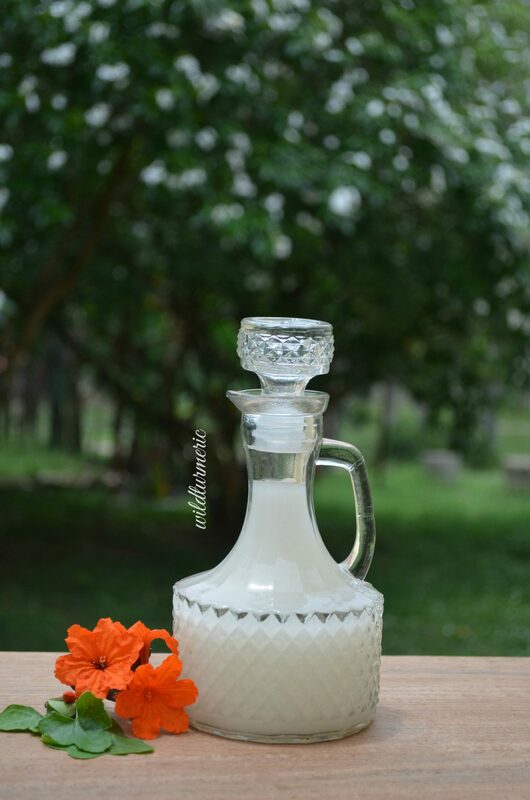 Since rice water has skin lightening properties, it lightens all scars well. Though it takes regular daily use to see results, you will definitely see results if you use it daily. You can use it as a face wash daily. Many commercial face washes dry out our skin as they are loaded with chemicals and preservatives but rice water is hydrating and is great to use for dry skin. 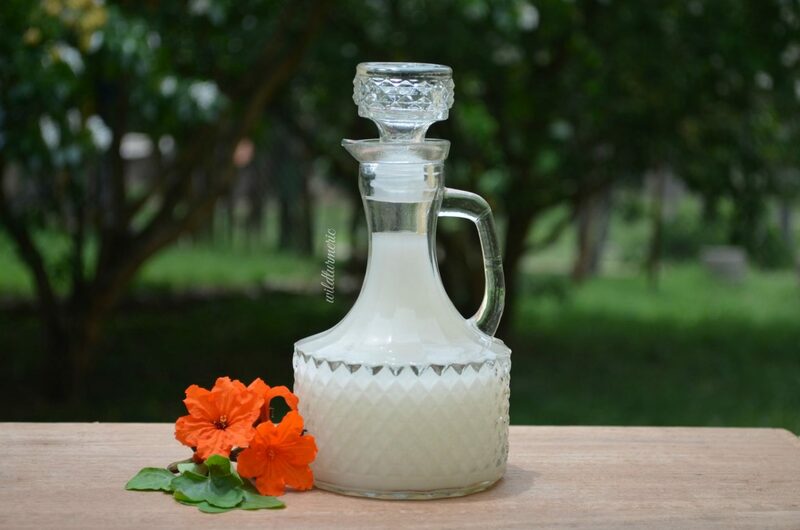 If your skin is very dry, you can also add conditioning ingredients like yogurt or milk to rice water and use. Try using rice water as a face wash once and you will be surprised how effectively it cleans the skin. It removes grime, dirt and excessive oiliness well especially if used along with ingredients like gram flour or green gram flour. Since it helps heal scars and reduce break outs, it greatly helps even out the skin tone very effectively. I would suggest using the turmeric, gram flour and rice water mix given below as it evens out the skin tone well. If we use rice water face wash daily, it removes excessive oiliness which is the leading cause of blackheads thus greatly preventing blackheads. Regular use will give a smooth even skin tone. Rice water is very very healing and helps heal even the most damaged skin very quickly. I would suggest using it as a face wash along with Castile soap like given below. Mix besan also called as gram flour and neem powder in equal quantities in a cup, mix well and store in an airtight box. To use, take little bit of this powder and mix it with rice water and use it as a face wash daily. This face wash treats acne and fades scars and blemishes well. This rice water face wash is very effective for treating and preventing acne, blackheads & pimples as it has wonderful anti bacterial and anti inflammatory properties. It is very soothing on the skin and does not dry out the skin nor makes it greasy so it can be used by all types of skin. You can find the recipe for it here. Take baking soda in a bowl, add 1 tsp of rice water to it. Finally squeeze in the juice of quarter of a lemon. When you add lemon juice to baking soda, it will immediately start foaming. Mix with a spoon, as you keep mixing the foaming will first increase and then it will slowly start subsiding. 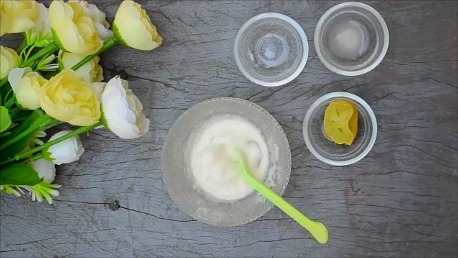 Once the foaming subsides and the mixture forms a smooth thick mixture, your face wash is ready! Green gram dal is another natural powder we use extensively for skin care. We make green gram dal powder by sun drying green gram dal and then powdering it in a dry mixer. The powder when mixed together with either rice water or fermented rice water is an excellent face wash. It removes blackheads and white heads effectively and also fades scars. 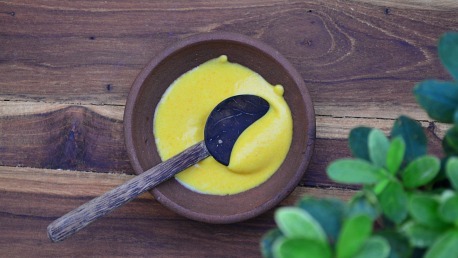 Rice water when mixed together with gram flour and a pinch of kasturi turmeric powder is excellent as a face wash. It helps treat acne and all skin problems very effectively. It makes the skin smooth and glowing. Since we use kasturi turmeric powder, it does not stain the skin yellow like normal turmeric powder too. Hi Mam,I have wrinkles on my cheek and forehead,dry skin problem. I assume for rice water kai kuthal arisi is prefered, the tan one. However, do you use the red sigappu arisi and its water for any specific purpose like they do in Sri Lanka or Kerala? We mostly use only hand pounded rice and very rarely red rice or red rice water….